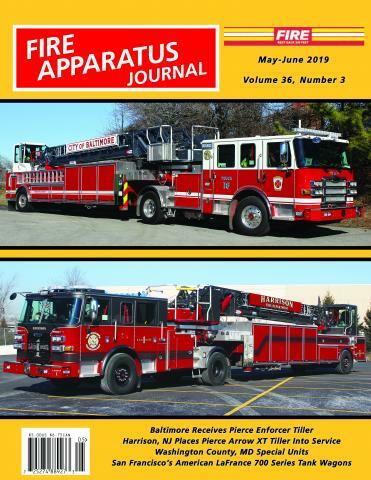 Bluegrass Update by Kent Parrish | Fire Apparatus Journal Inc. The Bluegrass Update is written by Kent Parrish. A lifelong fire apparatus buff, he is a graduate of the University of Louisville and a fire service veteran since 1992. Kent is currently a Sergeant with the Louisville Fire Department assigned to the Prevention Bureau. With interests in modern fire apparatus history and writing, he has authored published titles on manufacturers such as E-One, Grumman, Pierce, and Seagrave. Kent has amassed a large collection of fire apparatus photographs and slides through trading with fellow photographers. The avid University of Kentucky sports fan also enjoys documenting fire apparatus in his home state and photographing rigs in seldom seen areas of other states. Kent resides in Louisville with his wife and three young children.